Why were we once again deadly vulnerable at the back at the start of the match? Are the Gunners not drinking the right stuff? Should 17HT become their coffee master? Does Wenger need to dump the ‘three at the back’ right now? Where are the wing backs and central midfielders at the start of our games? How much are we getting from our wing-backs at the moment? It has been a while since we had an assist or a goal from either Kolasinac or Hector Vector. They leave our CBs exposed regularly and are not offering width and penetration from the wings in attack: final balls are often not good enough and partnerships with either Ozil or Alexis are not working right now. Time to try something/somebody different? I am a big fan of the Rambo and Xhaka combo but is it really working? In yesterday’s game there was little invention from either player and Rambo’s first touch, passing and decision making was unimpressive to say the least. These boys should be the double-engine, midfield beasts of the team, but they are stuttering. Time to try something/somebody different? Alexis is great in space and in front of goal but how many passes go astray? How many times does he make the byline and crosses towards our CF? Has he been found out? Never lacks a willingness to get stuck in, but how effective is he? Should we play Lacazette central against park-the-bus, or should I say compactly defending in front of their goal, teams? Would he not be better off on the left (instead of Alexis) with Giroud (or even Alexis) in the middle? Can we afford to leave Wilshere much longer on the bench? Ozil needs support in the creating-chances-department and Rambo, Alexis and Granit are not contributing enough? Should we go back to playing more defence-minded midfielders in the middle? Coq and Elneny were solid against BATE; okay, they were not the strongest opposition but we looked solid and stable and hammered them by six goals….? Anything else I should have asked/put on the table? I know we got a point in the end and on paper that is not a bad outcome against Southampton away, but where was the hunger, focus and energy to put the Saints to the sword on Saturday? The players were well rested and injury-free but our tempo was low and the belief was hardly there. Surely, time to shake things up? TA, pertinent questions all and a thousand more. If I should answer all I’d write a ton. I pick No. 2. 3 at the back is a formation that is hinged on the excellence of the wingbacks for it to thrive. Bel is not quite up to it defensively and his end products offensively are not much better. Kola is great going forward when he hugs the touch-line. His offensive end products are amazing. But somehow instead of along the touch line stretching the field, he is often found motoring the left corridor where his one footedness constrains his potentials as a wing back. His main down side is his lack of defensive awareness seen in his reluctance to track back with urgency. The flat 4 back line beckons with the better defensive duo of Nacho and Debuchy as full backs. Great post TA and lots of very good questions. Will concentrate on a couple that I have strong feelings about. Kolasinac started as a beast, but has been somewhat of a pussycat recently. Ramsey and Xhaka. Maybe I am stupid, but on paper I can see no reason why they should work. Neither to my mind is a top quality defensive midfielder . Ramsey sees himself as a Paul Scholes, Frank Lampard box to box player. On his day he can be a great player . He just doesn’t do it regularly enough. Xhaka has a sweet left foot and I liken him to a U S quarterback. Give him time, keep attackers away from him and he can be a terrific player. Unfortunately when he is closed down quickly he is worse than useless (sorry T A I know you are a fan). I can think of at least 3 or 4 goals he has cost us a a result of sloppy passing. As a defensive midfield pairing supposedly defending the centre backs, I see these as a big problem..
As much as I like Sanchez let him go and hopefully disrupt another club. A truly great player, but he seems to be undropsble. If you don’t mind I will add once more. Great goalkeepers are for very rare. A few years ago CEch was up there, but not any longer. If we had a Dea Gea in goal I am convinced we would add another few points at the end of the season. Ok great keepers are extremely rare, but I think we need a better keeper next year. Total, I’ve read your first 4 queries and without reading anyone else will give you my view. 1. Every team has its ‘bad hair days’, this we all know and accept as football fans, all we ask is that our club learns from them. 2. Both Kolasinac and Bellerin have been up and down form wise this season, Kola started off like a bomb, a bit like Paulista, but has now dropped off and is starting to look a bit ordinary to me. The reasons could be varied, they could be carrying slight injuries, maybe playing 3 at the back is proving more problematic now that our opponents know how we’re set out, it could also be down to substandard defensive coaching and prep? 3. Total, I also like both Xhaka and Ramsey, but neither imo are defensive midfielders and that’s what we lack. In fact the only def/mid we have is Coquelin and he seems a lot less effective than he used to be. Why has he gone backwards, I cannot really say? Ok, while I’m on a roll. 5. Lacazette makes some really good movements but isn’t always picked up. If Giroud plays then he has to play centrally and stay there so then you have to fit in 2 from 3 of Mesut, Alexis or Alex. 6. I think that Jack has done enough recently to earn a start at West Ham, maybe we need something different from our midfield, see how he goes and take it one game at a time, we’ve already lost Ramsey for probably 3 weeks. Two games a week for most of the rest of the season will ensure rotation and different approaches to games. 7. I’m not sure that I’d call Elneny a def/mid, but he is disciplined and he can do a holding job, although against better teams both Coq and Mo as a pair would I believe be exposed by their limitations on the creative side. I see both as good squad players who can come in occasionally and do a solid job, but long term.? 8. How about this, what areas do you think will need strengthening in our squad over the next 18 months? PE/Retsub, funny how you both mentioned Debuchy and yes in a back four he might be more effective defensively than Hector. I like Debuchy, he’s still a very good player and maybe deserves a chance? Is it my imagination but has Hector not been the same since Barca started sniffing around, head turned perhaps? Observation; if the personnel are inadequate and the structures are not working to make arsenal a competitive club or team; is there a more pressing problem? In any organisation if there are personnel and structural problems; there is an expectation that management would be aware of it and would be addressing it. According to management at arsenal the problems are not at the club or with the team; but with the marketplace that the club and team operate in. Management waited for the financial fair play rules to save it from market forces and that did not work; now it is waiting for market correction to save it from itself. What is the likelihood of that happening even when the market corrects itself? Just a reminder the financial fair play rules didn’t work for you; will market correction? TA, with the above questions i have to do a double check before confirming that you are the writer, and not 17ht or anyone else. 1. It does not matter about the formation. We were just not defensively sound and most of the time we like to pass out of tight situations and that makes it even worse if we have opponents that snap at us like piranhas. And it is definitely not something they drank or 3 at the back. Even if we have 5 at the back and we keep on passing out of tight situations and not going route one we are gonna concede more of these goals. 2. You are right about Kola and Bells. More of Bells as he seemed toned down. Kola is his old self, but with no one for him to pass to he is unable to do much. In my earlier comments i mentioned the need to play Matt as he is a stronger right back. 3. There is an answer to questions 1, 2 and 3. Drop Alexis and play Welbs. And drop Rambo for Jacko. Problem aolved. I have yet to read the other questions in detail, so will continue later on. I’ve done No.2. Now I try my luck with No.3 (Rambo and Xhaka as our CM). 3-man defensive formation suits Rambo to a tee …..(foretaste of next post) but a formation without wingers robs Xhaka of his most potent play, the long raking diagonal passes. In other words the 3-man does not suit him. 4-man suits Xhaka, suits Rambo but does not suit the Xhaka/Rambo pairing. Xhaka cannot defend, Rambo is too much of an offensive player. We need to get inventive here (the next post has a “desperate” answer). Watch out. Kev, I think it is more of what Alonso did on Bells and the same way it affected Kola, was that there is no one to pass to upfield, so they had to switch flanks via the defence. To No. 4 ie Alexis. Alexis is a high risk high dividend player. Which one does your eyes see more. The risks or the dividends? Foe me a tough answer but I might bet on the side of the dividends. Another dysfunctional performance from Arsenal which was again rooted in poor team selection and tactics. Solid as always both in terms of his shot stopping and claiming crosses. A relatively quiet day for Bellerin defensively as Arsenal dominated possession. He did though get beaten a couple of times on the flank by Bertrand which allowed the Englishman to deliver crosses into the box. Offensively, he didn’t contribute enough with only 1 inaccurate cross and no dribbles or through passes. His passing accuracy was very good though at 87%. A solid defensive performance by Koscielny, despite getting beaten on one occasion by Redmond which resulted in a shot on goal. 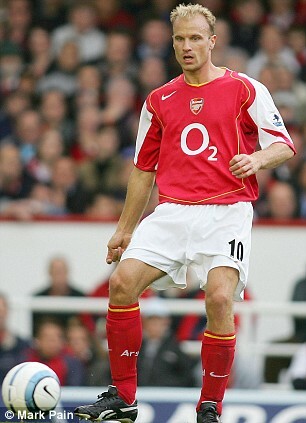 Was Arsenal’s most no nonsense defender with a couple of important clearances. Wasn’t really challenged aerially by Redmond. A poor defensive display by Per whose errant pass and some nice play by Tadic led to the Saint’s goal. The big German also got beaten on another occasion by Austin who managed to get another shot on target. While he wasn’t challenged aerially and did make a couple of important interceptions, his lack of mobility, like that of Xhaka, was painfully obvious and exposed the team defensively. A very quiet day defensively for Monreal as his opponent Ward-Prowse struggled to get involved in the match. Struggled defensively to close down Hojbjerg and force turnovers. He and Xhaka also collectively failed to nullify Tadic’s influence. Offensively he was pretty good at transitioning the ball from defence to attack via the dribble though he failed to make any impact with his long range passing which was disappointing. His passing accuracy of 94% was excellent. Xhaka did what Xhaka does with some beautiful long range transitional passing combined with poor defending. Like Ramsey, Xhaka wasn’t able to close down his midfield opponent in Romeu and force turnovers. Offensively, he didn’t offer anything in terms of forward dribbles but his passing accuracy was very good at 93%. Another underwhelming performance from Ozil who showed more intent than usual to take on his opponent via the dribble but failed to make any real effort to score. While his passing accuracy was very good at 87%, he struggled to create and failed to attempt through passes. A more subdue performance from Sanchez than normal as he failed to make any dribbles for the match and had just the one attempt on goal. He did attempt a through pass though and delivered a lovely cross for Giroud to score. Passing accuracy was his usual poor 68%. Another difficult match for Lacazette given the likes of Bellerin, Ozil, Alexis and Kolasinac struggled to create clear cut goal scoring opportunities for him. He got dominated aerially by Yoshida and Van Dijk. For Arsenal to improve in the current 3-4-2-1 system I think Wenger needs to make some key personnel changes. – Kolasinac should be retained at left wingback (with Da Silva as his back up). – Ramsey should be retained (with Iwobi as his back up). – Ozil should be dropped. – improve Arsenal’s goal scoring threat and allow for attacking variation through the deployment of a target man to attack crosses. – enable Ramsey, Wilshere and Giroud to combine centrally with quick one touch passing to create goal scoring opportunities for the likes of Lacazette and Sanchez. Let me start by saying Welcome to PE. I tried to do so on the last thread but it became redundant before I could manage to do so. It’s been a race against time for me as I try to ram a lot into the next few hours before I make my trip (will be airborne for the West Ham game). So many questions, TA, but all pertinent ones. Clearly, a few of us have made varying comments and await yours. I shall find time to send in a few thoughts in a bit. Cheers. In truth, I said my piece over my many (many) comments during the live-blog and the (very enjoyable) banter afterwards, and, for me, the pity-est thing I can say is it horses for courses. Wenger’s teams are not built for the mud (or the cold and the windy) and once we go a goal down such conditions really favor whichever team has the lead. Personally, I was very surprised (not quite shocked…) that we didn’t begin with 4 at the back (and keep the BFG working on his coaching badges), nor that we didn’t switch to much (much) earlier than we finally did. So’ton had many good chances to double the lead, in truth… And, luckily enough, the formation change did–eventually–get us the point. My gut feeling is to take it and run and I’m quite pleased we will have new data in just 30+ hours to pore over after the West Ham match. Some very good comments to put things in perspective. I believe that non of the players mentioned are necessary the problem but Wenger and co need to find the right combinations to get the best out of the team once more. I trust he can do that and let’s hope we will see some changes against the appy Ammers tomorrow. Wont happen, but boy I would love to see these eleven start against ANY team! I think I heard a stat saying something lie we have only scored 8 goals away from home all season and five of those were against Everton. As you said T A this is more of a team problem than individuals, but new faces would help. I really do think Debuchy deserves a chance and sooner or later Chambers and Holding have to prove they are ready. I suspect we may have seen Mertesakers last appearance at Southampton and without the youngsters, we haven’t got the required squad. Seventeenho, well, well done with the live blogs. Excellent stuff to read (later for me). My ‘ideal team’ has everybody fit. I just want us to dominate midfield again- a good Arsenal always dominated the midfield. Another thing to add is I hope we will no longer play in the blue-blue shirt for the rest of the season. It looks wrong, it feels wrong and we play rubbish when the boys wear it. Hahahah! You know things aren’t going well when you start blaming the “blue-blue shirt” for the frustrations. Okay, going over to read the new post then.